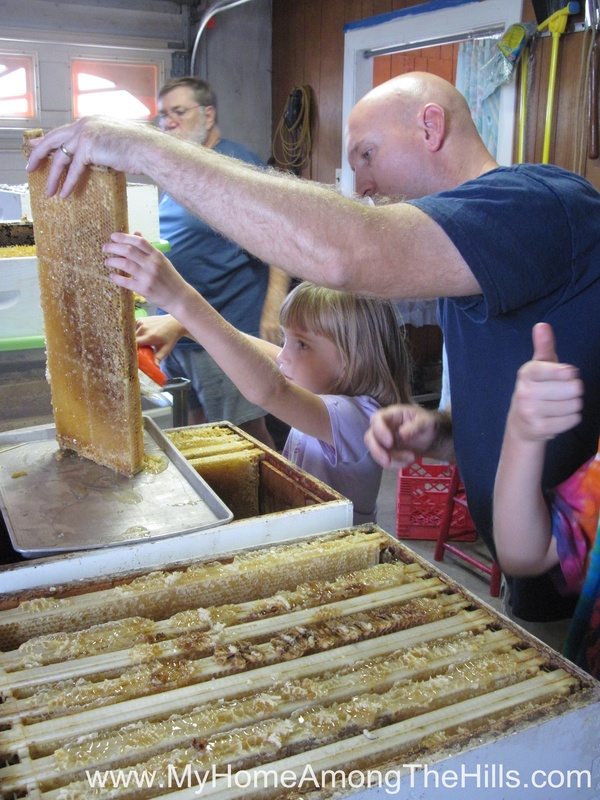 After the first unsuccessful attempt at harvesting honey this year, we decided to give it another go last weekend. I had removed about half of the honey from the hives the weekend prior (before things went south). I suited up again this Saturday to finish removing the honey on the remaining hives…not one single sting while I was removing the rest. Not one! That’s the way it is supposed to work! I am not sure I would recommend it, but if one has normal freakin’ bees and works slowly and deliberately, one could almost work the bees buck naked. 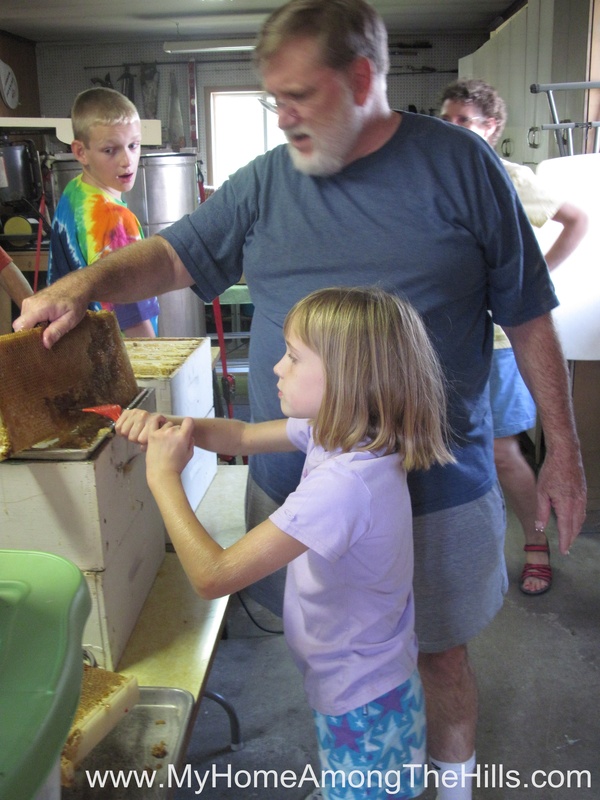 Anyhow, I pulled the rest of the honey and we extracted on Sunday (with the help of my family!) I nearly fainted as Isaac and Abigail both actually helped with the process. Typically they swoop in and swipe bits of honey, then retreat to unknown locations planning their next attack. But this weekend, they actually stuck it out for an hour or so! 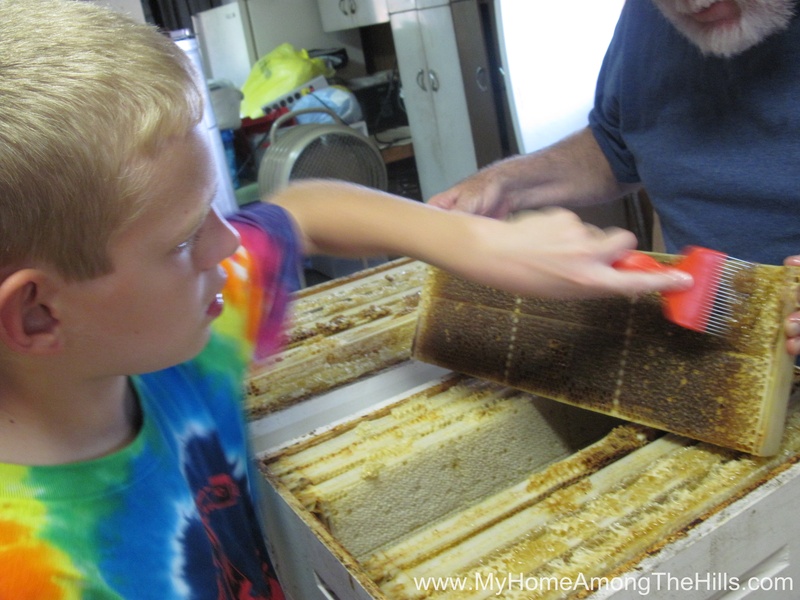 Some years we get different colors of honey. Different nectar sources produce different colors of honey. This year, all of the honey was the same color. That doesn’t mean that all of the honey came from a single type of flower…just that all the types of flowers they worked happened to make the same color of honey. 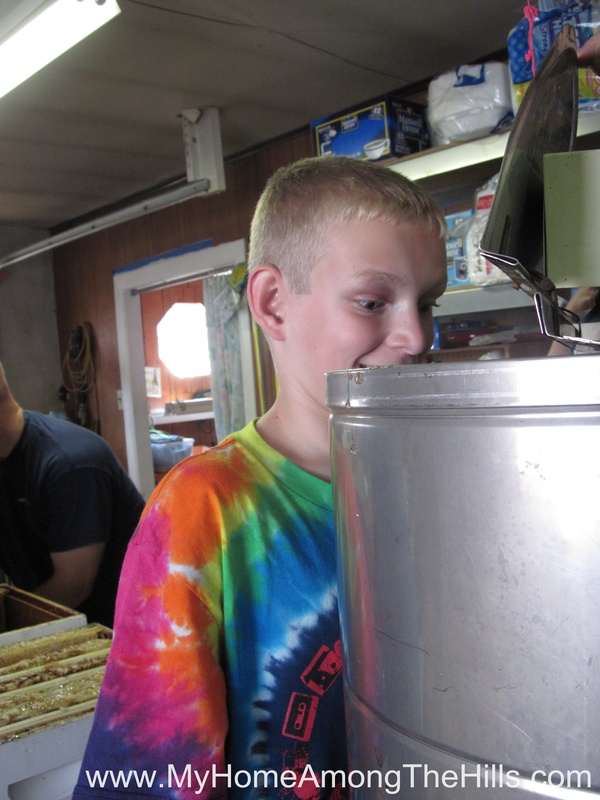 We spent about 4 hours on Sunday and extracted about 193 pounds of honey this year. I am pretty satisfied with that especially considering I destroyed 25-40 pounds of honey in one of the hives I had to kill. It’s exhausting work but we really enjoy the family time too (right family? right?) Like so much at this time of year (i.e. the garden), I love the build-up and the harvest but even more-so, I love its completion! Question: When you used the knife in the past, were you able to extract any honey at all from the caps you cut off? I seem to remember the wax comes off in big sheets, with a bit of honey on each sheet. The fork seems more labor intensive. Or is it heated? Okay, that’s two questions. Sorry. 2 thumbs up for you and your family! Look wonderful! Out of curiousity, did you find out why the other hives became so aggressive? I’ve thought about having hives but have resisted because I am allergic to them. And attack like you went through would have put me in the hospital. 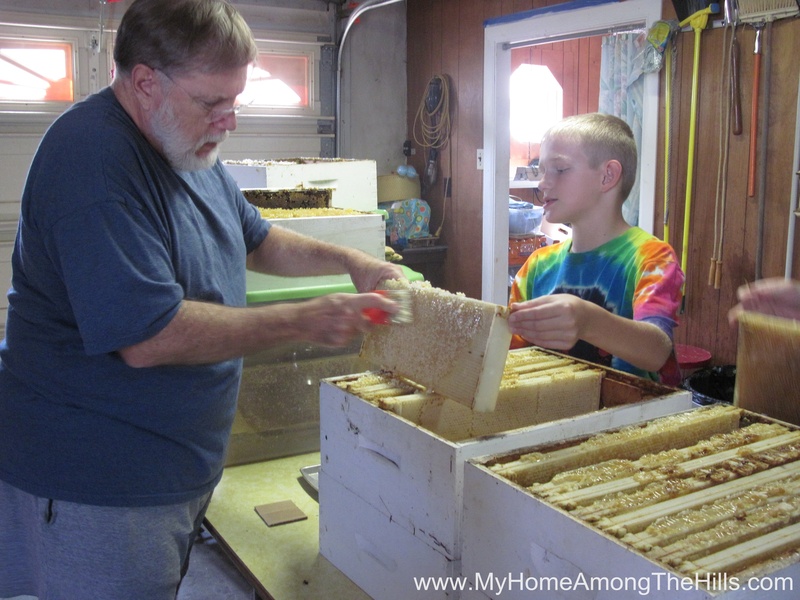 Wow – 193 pounds of honey! That’s a lot – do you sell it or give it away or do you find ways of using it all? They are the best! I got this recipe from a Honey Book that I got for free at the Blackwater Falls Nature Center. If you are interested in the book let me know and I will send it to you. Congrates Warren on a good harvest. What flowers do you guess they worked this year? Our area has a lot of Tulip (AKA Yellow) Poplar. We’re feeding one of the TBH’s via Boardman feeder because during supercedure they lost some population, and got a very late start on the flow. BTW, we’ve decided on micro harvesting, which would work better for us. Going to think about the fork. Maybe we could utilize that. TBH’s go on crush and drain model. I took some pictures of the Beeyard which I will send soon. I assume your back is back 😉 to normal. 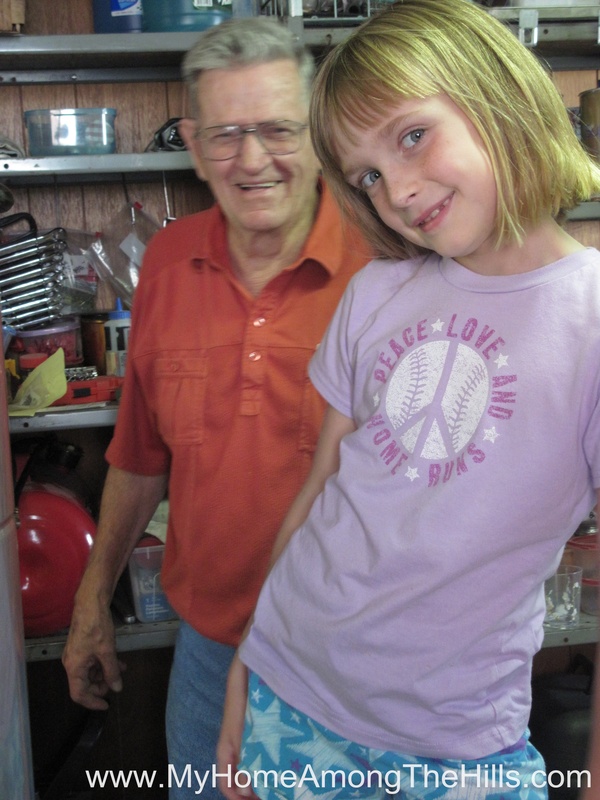 Carol – you need to find a new beekeeper! Thanks for visiting! Angela – I love about any type of oatmeal anything! I’d love to have a copy of the booklet if you have an extra!